Centennial School District is located in Bucks County Pa.
2 homes have 7 bedrooms. The above is subject to errors and omissions. Buyers are going to be interested in hearing more about this area Gita, and you are the one they should be calling! Good morning Gita. Something for everyone if they just call you. Enjoy your day! Good morning Gita. Thanks for keeping us informed about real estate in the Centennial school district in Bucks County. 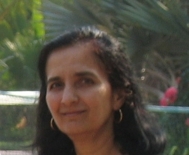 Gita Bantwal - I hope many buyers read your marketing reports and keep your phone ringing! Happy New Year to you! May it be a great one! Patricia, thank you. Happy New Year.